PECK ARCHITECTURE and PECK CIVIL performed initial feasibility studies of the house identifying the potential configuration relative to current codes within the hillsides of Los Angeles. PECK also performed structural engineering for the site retaining walls. Zach Vella determined that the bridge solution would be the best way to develop the property. After several initial studies by PECK ARCHITECTURE and Christopher Winters, SOATA developed a scheme that would transform the story home designed in the Santa Fe Pueblo Style into a dramatic modern masterpiece. Interest was high in LA's first completed SOATA project and the hi-end luxury project sold quickly. 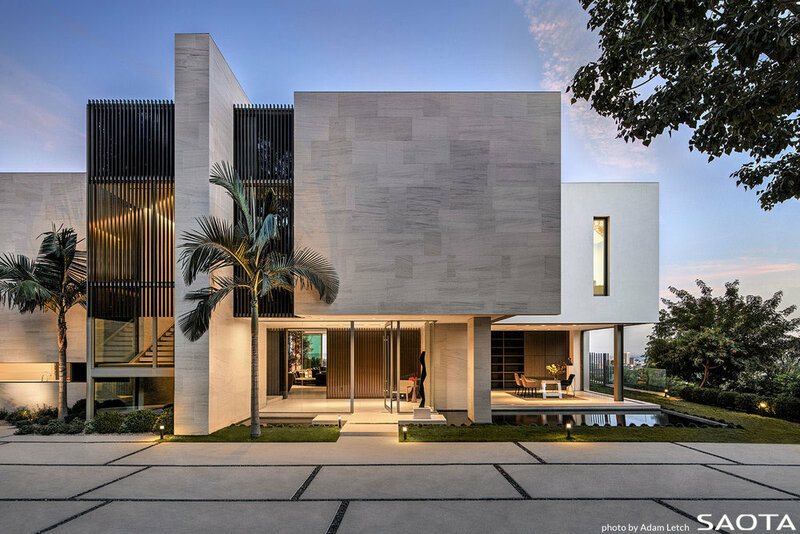 The project exemplifies the indoor/outdoor potential of homes in the Los Angeles area, with spacious terraces, striking views, multiple lounges and spas as well as a vanishing edge pool. Property sale details can be found at REDFIN.